Metal-detector surveys can be required as an evaluation technique particularly for battlefield sites. Increasingly, some planning authorities require surveys in advance of feature excavation and scanning of spoilheaps during excavation projects. 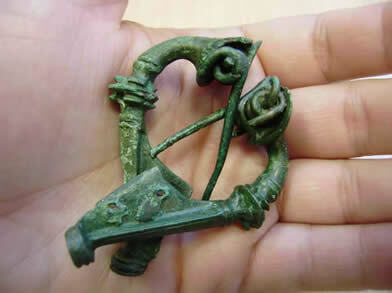 FAS Heritage uses state-of-the-art metal detecting equipment and has undertaken many surveys. These have included battlefield sites, exploration of Roman coin hoard sites, pre-excavation survey of an Iron Age settlement and managing and collaborating with local metal-detector enthusiasts. We work closely with professional conservators to ensure the aftercare of metal artefacts complies with national standards. If you need a quotation or advice about metal detector surveys, please get in touch.